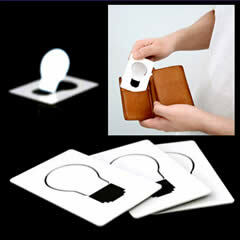 Get a FREE Portable LED Pocket Light. Click on Get One button and then Checkout. You’ll have to sign up if you are not already registered with them. Need a CC to checkout just so that they can have it on file in case you decide to order something else with them in the future. If you have a prepaid card with little or no balance, use it because it does not matter what card it is as long as it is a credit card.